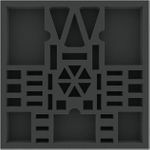 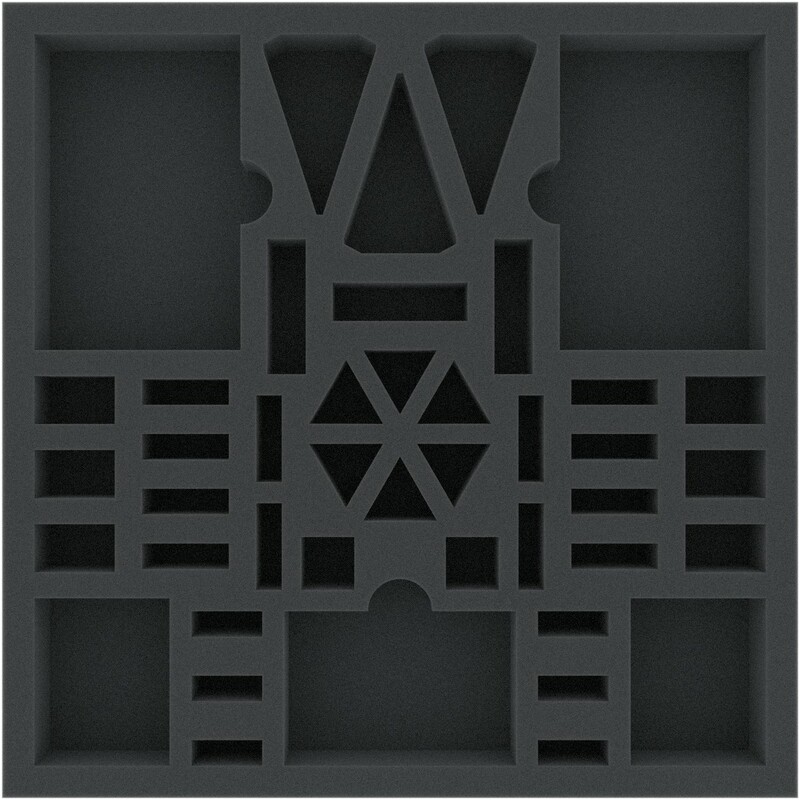 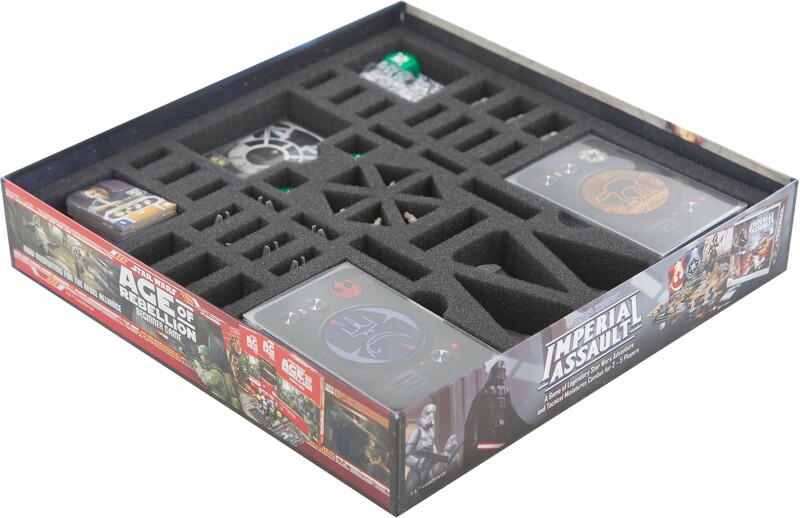 This foam tray is specially developed for the expansion „Star Wars: Rebellion – Rise of the Empire“. 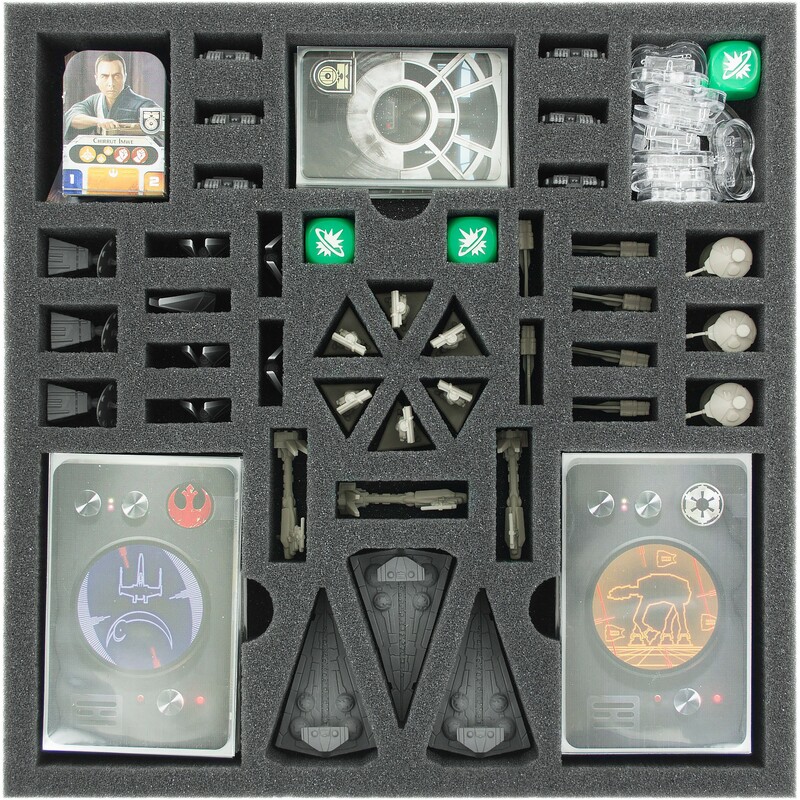 In the 43 compartments all components have space. 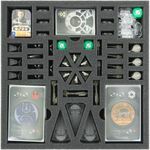 So you find the fitting cut-outs for the Leaders with Stands, Attachment Rings, Target Markers, Dices, all Plastic Figures, but also for Misson Cards, Objective Cards, Advanced Tactic Cards and Action Cards in sleeves. 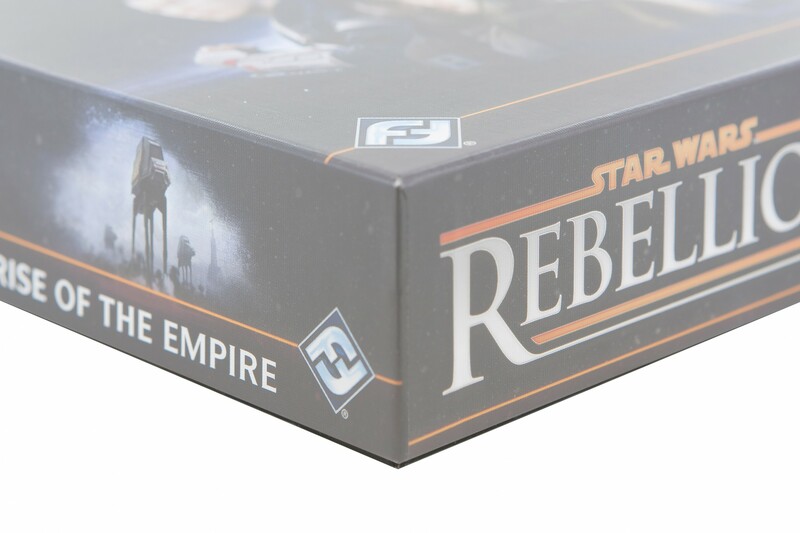 The mat fits exactly into the expansion box. 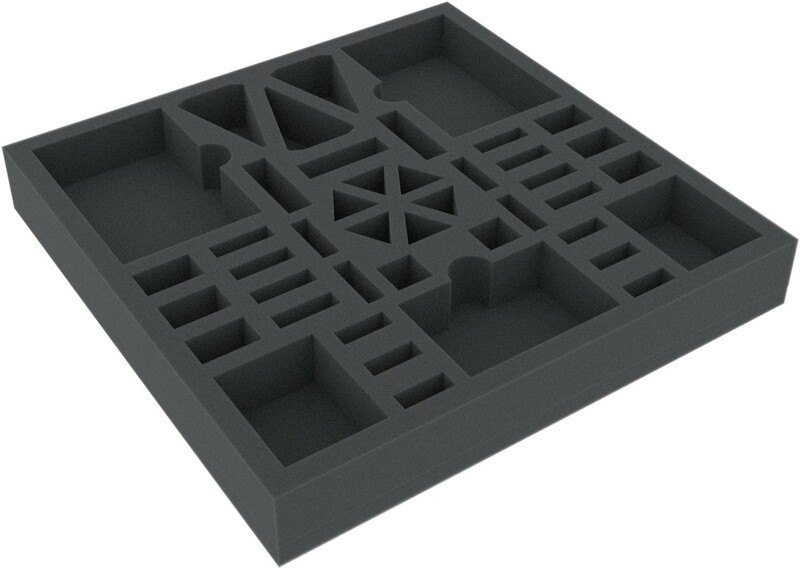 In addition, a 10 mm foam topper is included.